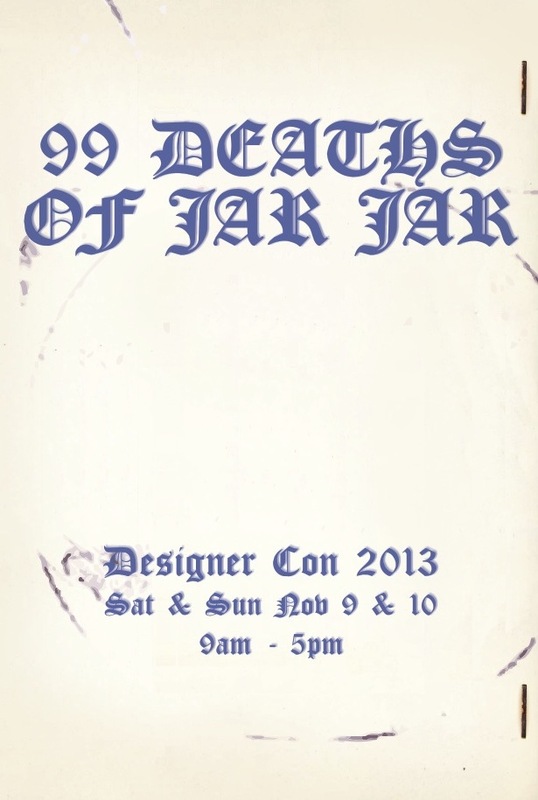 DKE Toys presents “The 99 Deaths of Jar Jar”, a group art show featuring 99 artists. Each artist was asked to submit a black and white, pen and ink illustration on an 8.5 x 11 sheet of paper and chose one way to maim, torture, and/or kill our least favorite Gungan. This art show is not sponsored or endorsed by Lucasfilm, and has no relationship with them in any way. Jar Jar Binks and all related intellectual property is copyright and/or registered to Lucasfilm Ltd. & TM. All rights reserved. 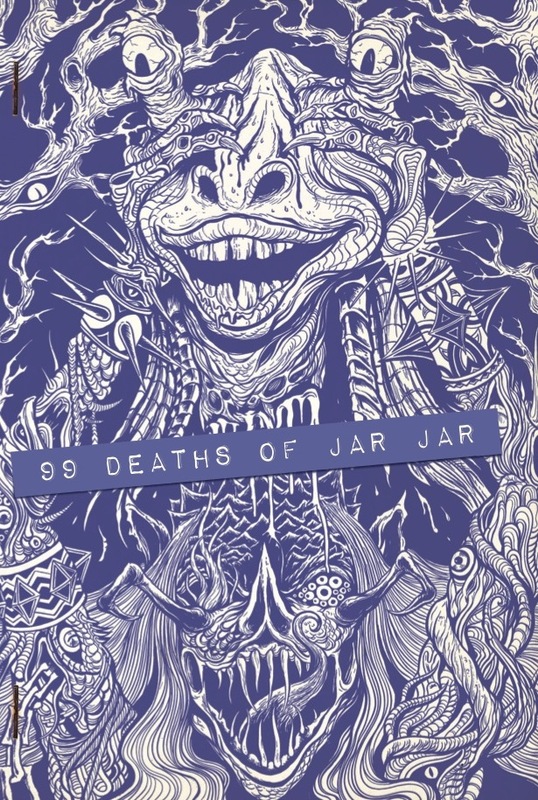 But who would really want to own the rights to Jar Jar anyway. Go step in poo doo.